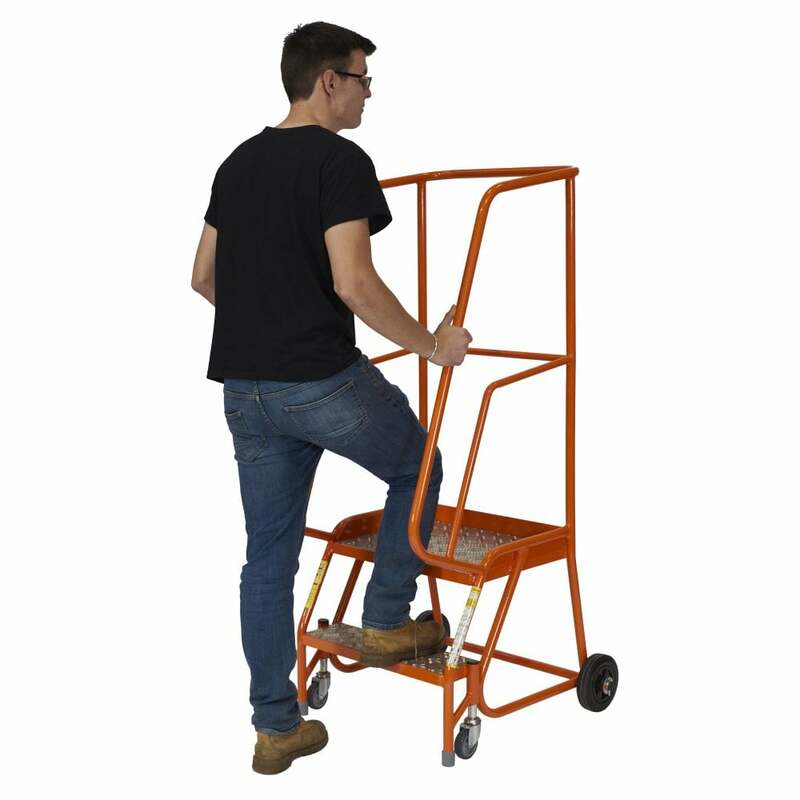 Designed with a higher handrail around the platform to give the user greater safety and confidence when working at height. Fully welded tubular steel construction with a hard wearing powder coated finish in Orange, Blue & Grey. Fitted with aluminium treads to offer good grip. 2-6 tread units are fitted with 2 rear wheels and 2 front spring loaded castors to achieve weight reactive function. Steps are firm to the ground when weight is applied. 7-10 tread units are fitted with 2 rear wheels and unique grip lift mechanism. The handle needs to be in use to be able to move the steps. Once released the steps are firm to the ground.